I have been asked to share my granny square pattern and since I customized my version from various patterns I thought I'd jot it down. My pattern is a smorgasbord of bits and pieces and came about after many yarn trials and abandoned grannies. I am sure this one is not a new one however and must exist somewhere? Hope it makes sense and enjoy! ROUND 1: Ch 3, work 11 dc's around and join to third chain of beginning chain with a slip stitch. (12 dc's total) Cut yarn and pull through. 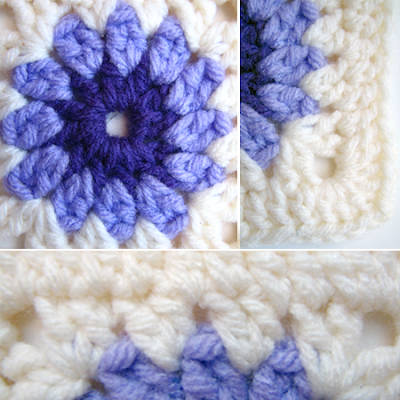 Join the new color at a corner by drawing a stitch through a ch1 stitch. ROUND 2: Ch 3, work 1 dc in between 2 dc's of previous row. Then work around crocheting 2 dc's in between the next 2 dc spaces from previous row. (You should have 12 sets of 2 dc's). Join to third chain of beginning chain with a slip stitch. ROUND 3: Ch 3, work first corner (dc1, ch2, dc2) between dc of previous row, then work 2 dc's in between each of the next 2 dc spaces from previous row. Work next and all following corners (dc2, ch 2, dc2), Work the 2 dc's in between each of the next 2 dc spaces from previous row, work corner, then 2 more dc's as before. Join to third chain of beginning chain with a slip stitch. ROUND 4: Ch 3, work corner (dc2, ch2, dc3) into the same stitch, work remaining sides: *8 dc's across to next corner, work corner (dc3, ch2, dc3); repeat from * 2 times, 8 dc's until final corner, join to third chain of beginning chain with a slip stitch. Weave in all those annoying and pesky yarn ends. I chose to sew up the squares, first in long strips then the strips together, however I know the joining of squares while crocheting is another probably preferred method. It just scared and intimidated /me at the time. what kind of yarn did you use for this blanket? it is so pretty! I used a yarn called Canadiana, 100% acrylic since I have kids, :) Thanks!! I saw your beautiful blanket a few weeks ago on flirck...and since that not left my head! Now I found your blog! And you are sharing the pattern! this morning I tried to do it and it was perfect! Gorgeous!! Thanks for sharing. I've saved it on my computer so I can try them during my upcoming holiday. Really love this pattern. I have another pattern on my blog so if you're interested in another pattern there's one there (-: Thanks again! I fell in love with this blanket the first time I saw it. I have been working these little squares ever since. Only 87 to go! 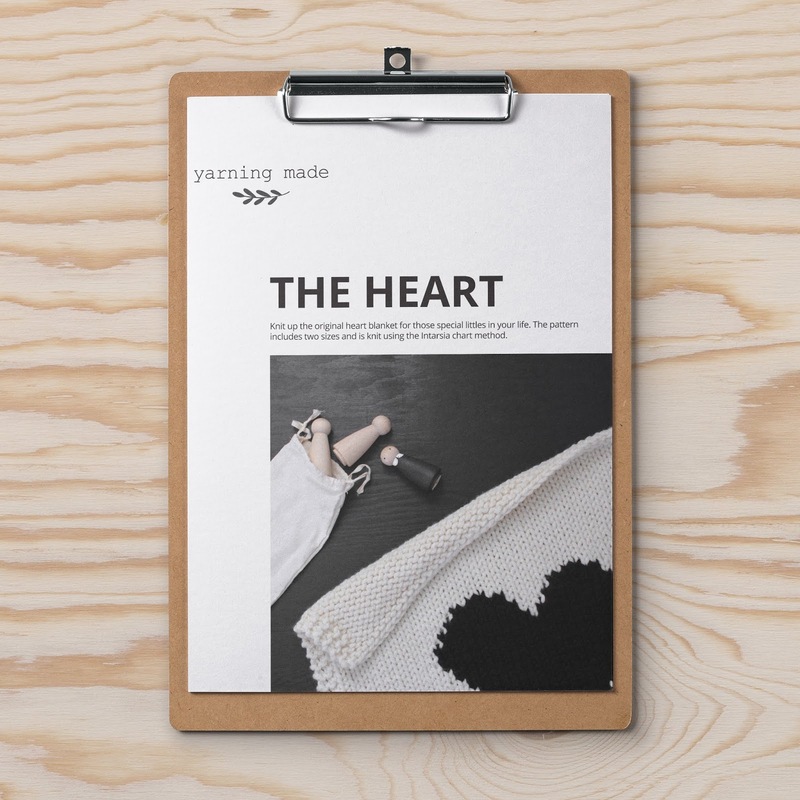 I started a blog to keep track of all the beautiful crochet patterns found on the internet by creative people like you! Hope you don't mind, I linked to your one of your photos with a short description and a link back you your blog. Thank you for sharing this beautiful pattern! OMG I love your granny square!! I am still mastering the basic granny square but will be striving to one day make something as beautiful as your blanket. Thank you for the inspiration! Do you have a video of this. I'm new and visual is so much better for me. Thank you for this pattern! 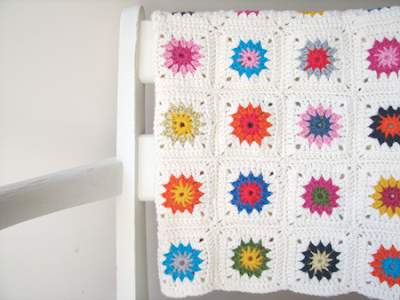 I have been wanting to make a blanket or pillow like this--hopefully someday soon! Your work is gorgeous! I want to make this for my cousin. I need a lot more help. What size needle did you use and after each round do you turn the square over? I need crocheting for dummys 101. Also do you have a video showing you making one of these squares? Hi, I know I'm a bit late to jump on the bandwagon, but can you tell me what size hook you used (I'm assuming it's 8 ply wool?) and approx how many balls of the main (cream/white) yarn you used? Ohhh, thank you so much for the pattern to your gorgeous afghan. I started making the squares last nite and am totally addicted to making these. Your afghan is so beautiful. I have a question, ... i tried do it this granny square, and what's the number of sticht between corner to corner in the 3º round? ... 5 dc???? Sorry re late reply Pili! If I understand your question, it is 4 stitches total, two sets of 2! So sorry to others that have asked questions and have not received a reply! I believe I used a 5 mm hook but cannot say 100% for sure, sorry! Same with amount of yarn used.... it has been too long! Gave you a shout out! I've just discovered your blog as I'm new to crochet. Your photos are crisp and clear but the text is so very very faint its almost unreadable . Is it just me and my iPad? As it is all I can do is look at the photos and maybe squint at the print once in a while. Wish you could solve this as I'm lovin what I see! Bellissimo! Hai uno schema grafico e non solo la descrizione? I am ready to put my squares together. Did you just overstitch together? Does your design have a name? I see you posted your blanket to Ravelry. Great. I am still working on the border but will post something in progress. So sorry to everyone I seemed to have ignored but so not on purpose. Just discovering all these wonderful comments now along with a ravelry page!! I will try to go through the questions and post replies perhaps in ravelry? Thank you so much for sharing this pattern. It's a lovely granny square! I used the first 3 rounds to crochet a heart.